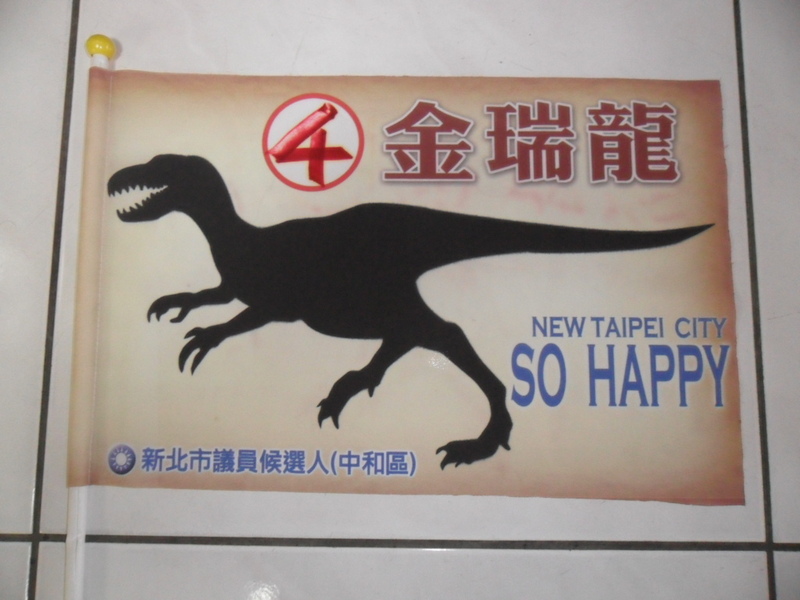 Like many people, I was a bit surprised at the Taipei City mayoral election results. I wasn’t terribly surprised that Hau won, but I was surprised by the margin of victory. A couple of days before the election, Mrs. Garlic and I kicked around the question of what results we would have found surprising. In the Taipei race, I thought I would be surprised if Hau won by more than 10% or lost by more than 2%. The national swing toward the DPP that I expected did, in fact, materialize. And remember, 44% is a very good result for the DPP in Taipei City. However, I expected more. The KMT had an incumbent with a shaky to lousy record, depending on your viewpoint, and the DPP was running a proven administrator. With a national swing toward the DPP, it looked like the perfect storm. I fully expected Su to set a new benchmark for the DPP in Taipei City. So what happened? While the popular explanation is the shooting incident, I have my doubts about how much influence that had. (I have backed off my original stance that it most likely had zero influence. Enough people have told me that it changed their own behavior now that I have to believe that it mattered a little. However, I doubt that it was sufficient to sway either Taichung or Xinbei, and it almost certainly couldn’t have been enough to produce Hau’s big victory.) I think it is more likely that partisanship simply asserted itself. I have a couple of ideas in mind. 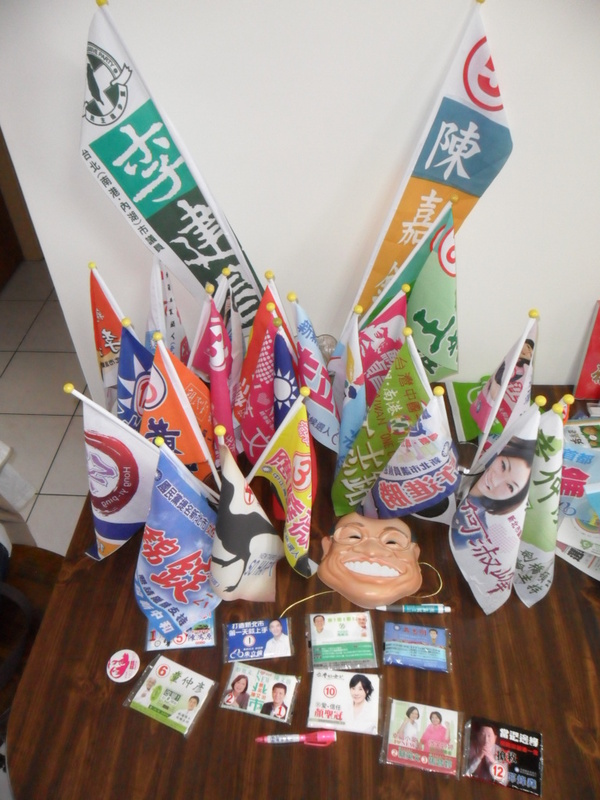 First, I think that after months of polling showing Su close or even leading and the disastrous march/carnival/parade the weekend before the election, no pan-blue supporter could delude themselves into thinking that Hau would win easily. In short, they all sensed danger and eventually came out to vote. Anyway angry or disillusioned blue voters would have had to think twice before “sending a message” or trying to give Hau a black eye. Sending a message is one thing; causing him to lose is another. Second, while Su spent the whole campaign in his pink shirt talking about good government and non-ideological local issues, he is after all a former premier, prospective presidential candidate, and one of the most senior leaders of the DPP. You simply can’t ignore the political ramifications of a Su victory. With months to mull over this (instead of only a few days as in Taichung), pan-blue voters might have decided to stick with their party. Many green supporters were disappointed that the Taipei City electorate would choose a lackluster blue candidate over an effective green one. As one complained to me, how can you talk about democracy when voters mindlessly vote their party and don’t pay any attention to the incumbent’s performance in office? Doesn’t democracy demand that voters punish bad politicians by voting them out of office? Well, yes. But also, not necessarily. Most of us support one party or another for good reason: that party fights for things we want. Put it this way, would you rather have a candidate who tries to do things that you like but does them badly, or a candidate who tries to do things that you don’t like and does them well? Now it happens that, given the overriding dominance of the unification-independence (UI) cleavage, there isn’t a whole lot of disagreement about specific city policies. We all want smoother traffic, better schools, less corruption and so on. So you could argue that the previous question is irrelevant in the context of Taipei City. However, the person sitting it the mayor’s chair eventually does matter for the UI cleavage as well. A DPP mayor would help DPP candidates for the presidency and the legislature. A DPP mayor would divert city contracts to firms friendly to the DPP, and some of that money might find its way back into other campaigns. And think about all the young political talent that has come through the Kaohsiung City government over the past 12 years. A DPP mayor with a mini-cabinet would be an important cultivator of political talent. (Perhaps I should say “could” be. Ma and Hau haven’t taken much advantage of this opportunity.) President Ma might also take the election as a signal that his policy of faster integration with China should be curtailed. In short, putting a DPP politician in the mayor’s chair would probably help the DPP nationally. If I am a pan-blue voter, I have to think carefully about whether that price is too high to pay for voting out an incumbent with a lackluster performance. E.E. Schattschneider, a former president of the American Political Science Association and an important theorist of democracy, once wrote that democracy is unfathomable save in terms of political parties. I think this represents the mainstream opinion of political science, especially those of us who study democratization and new democracies. So if this election was a triumph of partisanship above everything else, that is probably a good thing. Last night I went to a rally for Tsai Ing-wen in Wugu Township. This was a much smaller event than the ones I went to over the weekend, which was not surprising. It was Monday night, after all. The rally was outside a parking garage, and the irregular space made it much harder than usual to estimate the crowd. The area on the ground was not rectangular. The parking garage had three overhang levels, all with some people in them. And there were even people standing on the other side of the street. It wasn’t a really big space, but it was extremely full. I would estimate around 1500 people, give or take 500. The crowd was not mobilized, and it was quite enthusiastic. Having said that, last night highlighted the lousy-on-the-campaign-trail aspect. When Tsai got to the stage, she was incoherent, uninteresting, spoke in platitudes, and couldn’t manage much Taiwanese. She even apologized for her worse than normal speaking. As we say, her brain was completely fried. Apparently she had been in a motorcade all day, which is extremely tiring. You have to stand and wave on a moving car, which is tiring enough, but in addition there are fireworks constantly going off right near you. Six hours of that would be exhausting. When she entered our event, she worked her way from the back, through the middle of the crowd, all the way to the front. Candidates like to do this because the crowd loves it. However, as she passed by me, I stood a few feet back and got up on a stool to watch her. She was being pushed and pulled by the mob, and she was not enjoying it. She was not at all happy, or shaking hands. Instead, she was covering her head with her hands to try to protect herself a bit. When she finally got to the stage, she held up a few sheets of paper that were all crushed and dirty and sheepishly told the audience, this is my speech. After that, it just isn’t surprising that she gave a terrible speech. This all reflects poor planning and inexperience. When they were planning out the schedule two weeks ago, no one asked if Tsai was going to be too brain dead after six hours in a motorcade to give a speech. Since Tsai has never been a candidate before, she probably couldn’t have answered that question herself. It takes a tremendous amount of physical stamina to campaign, and very few people appreciate this until they have been through the process. Even if they decided that both the motorcade and the rally were necessary, they should have thought about ways to reduce the physical toll on Tsai. Being unmarried, she is at a disadvantage. Married candidates can take a break for a half an hour and put their spouse in their place in the motorcade. But there are other things she could have done. They could have given her a chair for at least part of the route. They could have used fewer fireworks or quieter fireworks or shot them off further away from her. They could have shortened the route. And when they got to the rally, she didn’t have to go through the middle of the crowd. If they really wanted to do that, they needed to have a group of big, strong young men clearing a path and holding back the crowds so that she could reach through the human wall and shake hands but wouldn’t feel physically threatened. These are all things that experienced campaigns and candidates know how to do. The miracle of it all was that, as bad as she was on stage, her crowd stayed with her. The beginning of her speech was awful as she stumbled around, improvising and then going into really dry (and vague) policy ideas. This would have alienated most crowds. However, whenever she suddenly asked them a question, they immediately roared back the answer. Usually when you have lost a crowd, there is no answer the first time. You have to ask it a second time before they realize they are expected to respond. This crowd wanted badly to support Tsai, even if she wasn’t helping them at all. Dafydd Fell has studied the attempts by different parties to add new issues to the dominant unification-independence cleavage. He concludes that these attempts to reorient politics have always failed. You might talk about environmental politics or anti-corruption for a while, but when push comes to shove, you always line up with your allies on the UI cleavage. Eventually something will replace the UI cleavage, but I don’t think it will happen any time soon. The question of Taiwan’s future is just too basic to ignore. However, there might be room for a left-right cleavage to supplement the dominant UI cleavage, especially as the gap between rich and poor grows. Coming back to the immediate campaign, we see the paradox of Tsai Ing-wen. The DPP will probably do very well in this year’s election. Even if they only win two of the mayoral seats, they will almost certainly get more votes this year than they have in the past. 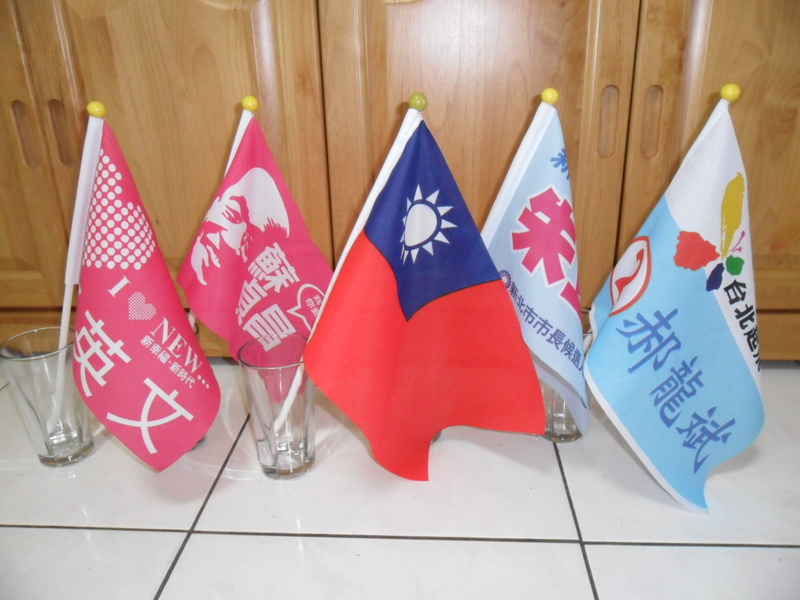 Tsai is person most responsible for this surge in DPP support. Her ability to convince people to put the Chen era behind them and focus on the performance of the Ma government and her vision for the future have been instrumental in the DPP’s recovery from the disasters of 2008. Yet, it is conceivable that she herself will be the candidate who benefits the least from this surge. I often get too detailed and forget to look at the big picture. So let’s step back and look at the basic partisan structure of the five metro areas. I calculated the percentages of the blue and green camps for the past 6 executive elections (3 presidential, 3 local executive). To simplify things, I’m just going to look at the green camp results. Since I have already added all the splinter candidates back into their respective camps, the two camps are basically mirrors of each other, so we aren’t really losing any information by only looking at the green camp. To make it even easier, in the second chart I have taken out all the local executive races. This allows us to hold the candidates constant. You can see the same basic trends in the first chart, but they are clearer in the second chart. Unfortunately, it seems nearly impossible to paste a chart directly onto my blog post, so you’ll have to download the excel file and look at the pretty charts there. It is pretty obvious that Tainan is clearly the DPP’s best area of these five municipalities, and Kaohsiung is the second best. Tainan has consistently been about 5% better than Kaohsiung. What is a little more surprising to me is how closely the other three are bunched together. Taipei has consistently been a bit worse than Taichung and Xinbei, but the difference is only about 2-3%. Taichung and Xinbei are roughly equivalent. Perhaps the reason I think the DPP faces a much tougher terrain in Taipei than in Xinbei or Taichung can be seen in the 2004 results. In that year, all the DPP lines stretch upward, but less so in Taipei than in other places. 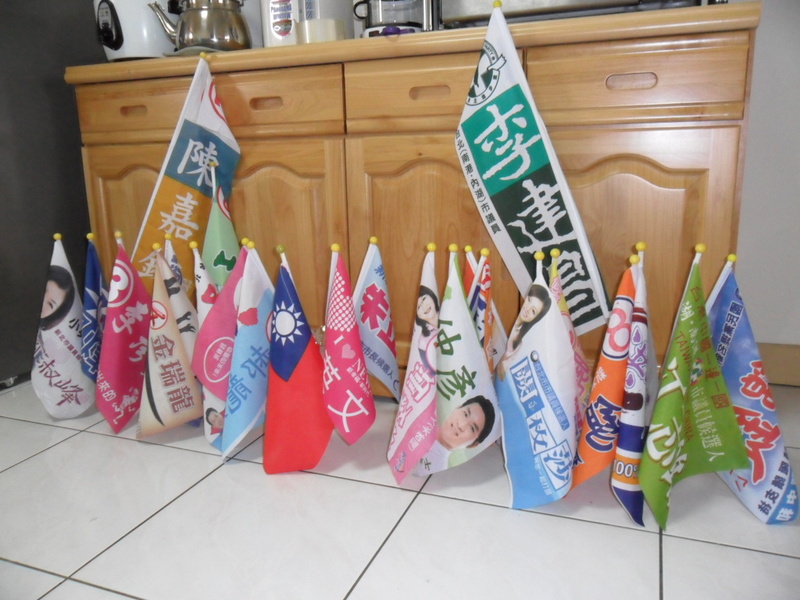 Taipei just seems more solid in its partisan patterns than in other places. There are a couple of interesting deviations from the general trend lines in 2001/2. In Xinbei, the DPP went way, way above its “normal” trend line. This was the year that Su Tseng-chang ran for re-election. In Taipei, the DPP went far below its normal trend line. Ma Ying-jeou was running for re-election that year. Apparently, both were pretty good candidates. You can also see the north/south evolution. (This is easier to see in the table than in the graphs.) Comparing 2000 to 2008, the DPP’s vote increased by a bit more in the south than in the north. You are currently browsing the archives for the 2010 mayoral category.